​Newcastle United captain Jamaal Lascelles has played down rumours of a recent training ground bust up, insisting a widely reported incident between himself and teammate Matt Ritchie was made out to be a 'bigger deal' than it really was. 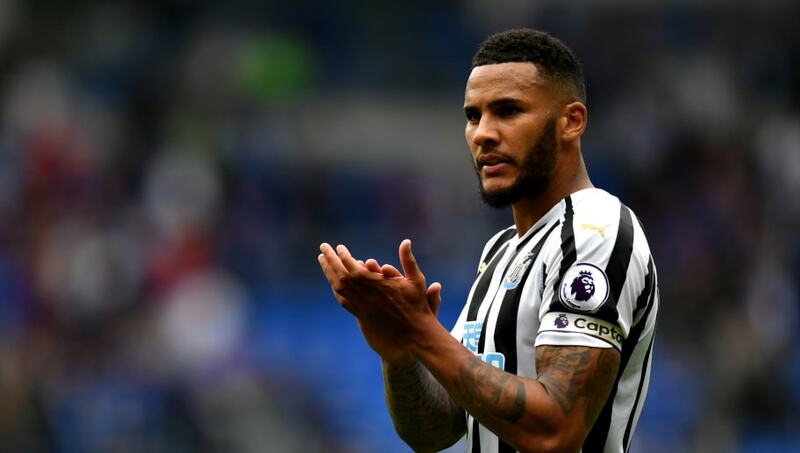 ​It was ​reported that Lascelles had been involved in a heated exchange with both teammate Matt Ritchie and manager Rafa Benitez on the training ground. Lascelles later missed Newcastle's defeat to Chelsea due to a minor injury, although some speculated he may've been dropped by the manager after the bust up. However speaking with nufcTV (via ​Newcastle Chronicle) Lascelles has played down rumours of a huge bust up and claimed the media have blown the incident way out of proportion. He said: “What have I made about what’s been written about us? Well, as everybody knows, some people when they get a sniff of anything and they’ll make it into a much bigger deal than it is. ​“This is sport; every sportsman would say the same: a group of men, on the training pitch, with adrenaline flying... there’s going to be, I wouldn’t say altercations, but there’s going to be arguments. “We’ve got such a passionate team where we all want to do so well and players will speak their voice, and we’ll get stuck in. Arguments will happen, but in terms of off-the-pitch stuff, it’ll never change anything personally. It’ll always stay on the pitch and you shake hands after. For me, I think that’s a good thing." ​This isn't the first time the Magpies' captain has been involved in a training ground dispute having also found himself in the middle of a fiery exchange between himself and teammate Mo Diame last season. However, Lascelles went onto claim these incidents are a product of a winning mentality amongst teammates. “But in terms of it affecting our team spirit, and me not liking somebody or someone else not liking somebody else, it won’t change that." Lascelles and the rest of the Newcastle players will be looking to put this incident behind them during the international break, as they look forward to their next game when they host ​Arsenal on September 15.